Each year we send home a parents’ guide to help you continue your children’s Christian education at home and to reinforce what is being taught in Church School. This gives each family with children some ideas for exciting activities for you and your children to enjoy together; it is not meant to be comprehensive or exclusive. Use your creativity! If you know the topic of the week, you can also think up some wonderful ways to “bring it home” from Church. This can start as simply as reviewing the lesson of the week (Can the children tell you the story?) in the car on the way home from Church, at bedtime, and continuing through the week in your daily devotions and prayers. This year we focus on the Life of Jesus and each child, from the smallest to the teens, will have a Bible storybook or Bible itself to read in Church School and at home. It is very important even for the very young child to have daily prayers (Do you have a family icon corner? What about setting up one in his room?) and Bible (or Bible story) reading, maybe right after dinner or at bedtime. Do you say grace after each meal? Each day they can practice crossing themselves, lighting candles, burning incense, etc. And on Saturday night, in preparation for Liturgy the next day, what about a time of private confession to the Lord? You could even “pray the hours” on days when you are home: 7 AM (First Hour) thanking God for His light, 9 AM (3rd Hour) thanking Him for His Holy Spirit, 12 Noon (6th Hour) thanking Him for His crucifixion, and 3 PM (9th Hour) praying with the wise thief, “Remember me, O Lord, in thy Kingdom.” Very little time spent, but a habit begun. Don’t forget a Jesse Tree and Advent wreath to bring Nativity closer to home. And, just before Lent, each child should bring home a piggy bank (for the Prodigal Son, of course). He should collect or earn small coins and bring them back to the class piggy at the end of Lent for donation to IOCC. There will be some memory work for the year. Look on your schedule for the dates, beginning with St. Simeon’s Prayer, spoken or sung, then the Troparion of Theophany, the names of the 12 disciples (smallest class need only learn the 4 fishermen), the Beatitudes (the smallest children only need to know the “poor in spirit”), the Lord’s Prayer, and the Paschal greeting in 3 languages other than English. These will be recited when ready during opening exercises and prizes given. This would be great memory work to do in the car on the way to Liturgy! Now, on to suggestions for particular weeks. This year, crosswords and puzzles for older students are included with the materials, and, of course, the youngest students can color on anything in sight! There should be enough coloring pages to make quite an art gallery of the life of Jesus – framed with construction paper on your child’s wall? Or with magnetic frames each week on the refrigerator, to review regularly? 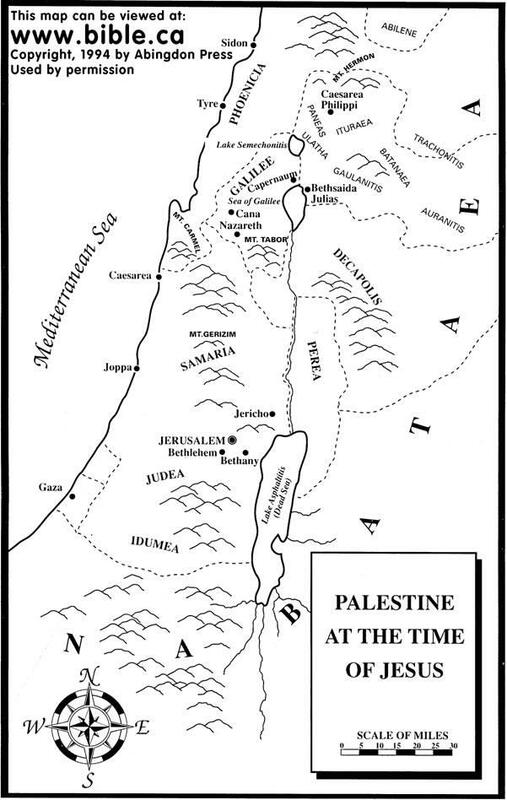 There is also a map of the Holy Land for older children to plot the journeys of Jesus. Don’t forget our parties and movie nights. These also form part of the learning experience. They are included in the calendar. Movie nights will begin right after vespers on Saturday with dinner for the whole family, followed by a short animated video for the smaller children. The feature film for the older children will happen only once – on “Marathon Movie Night” in March, when we’ll see the entire “Jesus of Nazareth” complete with popcorn, etc. Details on the parties will be in the newsletter. Revise it to fit your own dates, trying to match Pascha with Pascha and the lessons for the Sundays preparatory to Lent on the correct week, and the rest arranged around them.